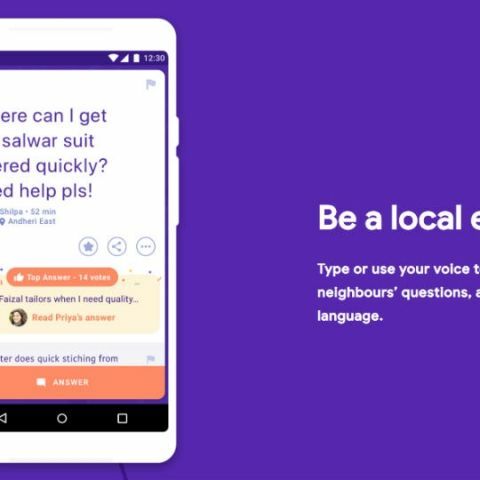 The Neighbourly app was launched in India first in Mumbai followed by Jaipur, Ahmedabad, Mysore, Vizag, Kochi, and Coimbatore. As the name suggests, the app is all about helping your neighbours. If you are looking for a safe park for your kids to play in your area or looking for a good restaurant serving south Indian food, or looking for the best place to chill with friends in the evening, Neighbourly is the app for you. It will broadcast your questions to your “neighbours” and you will receive recommendations from real people. Starting today, Neighbourly will be available in Delhi and Bengaluru, and will roll out to other cities including Chennai, Hyderabad, Pune, Kolkata, Chandigarh, Lucknow, Indore and more soon. Google says that users outside these cities can bring Neighbourly to their city faster by joining the waitlist. Neighbourly isn’t limited to the neighbourhood you live in. If you live work far from home, you can switch between the two neighbourhoods. In fact, Google says that you can have multiple neighbourhoods. You can also see better questions just for you. Every time you open Neighbourly, you’ll see the best questions from your neighbourhood. The more you use Neighbourly, the more personalized it becomes. If you aren’t receiving answers to your questions, then worry not. The app will send you a notification with some advice on how to best ask them again. Also, if you’re among the most helpful in your neighbourhood, you can earn Top Neighbour status. Top Neighbours help pick the best questions in your neighbourhood and also identify the ones that don’t meet the “Neighbourly Promise”. If you are one that likes your privacy, then worry not. You don’t need to reveal yourself to your neighbours to ask a question. “Ask and answer questions without sharing your private details” is how Google puts it. In the good old days, you would physically ask your neighbours for advice on paces to go or good restaurants or to simply borrow a bowl of sugar. It looks like those days are behind us and we resort to apps to help us make every decision including ordering that bowl of sugar home. With neighbourly, we are getting back to a human connect even though you may not know the person at the other end giving you restaurant advice. If you are interested in downloading the Neighbourly app, you can do so here. The app was last updated on 21 November 2018 and has an install base of more than 10,00,000.
how to instal jdk while developing android app?? how to creat link between back and front end? ?